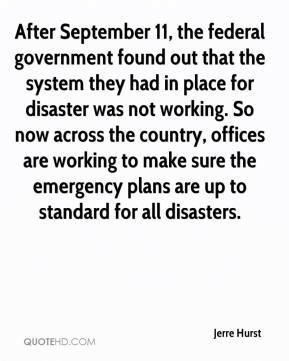 After September 11, the federal government found out that the system they had in place for disaster was not working. So now across the country, offices are working to make sure the emergency plans are up to standard for all disasters. 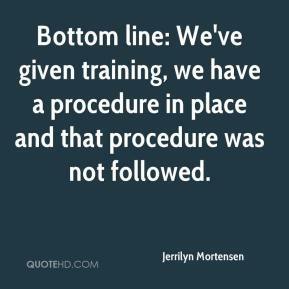 Bottom line: We've given training, we have a procedure in place and that procedure was not followed. 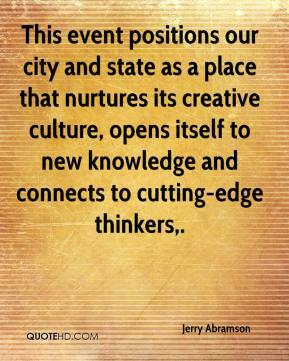 This event positions our city and state as a place that nurtures its creative culture, opens itself to new knowledge and connects to cutting-edge thinkers. The place to control what is displayed on a home computer screen is in the home. 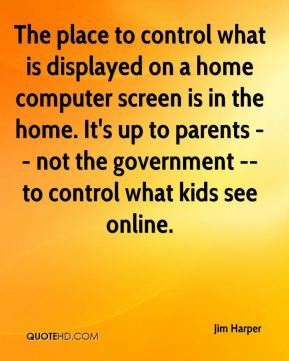 It's up to parents -- not the government -- to control what kids see online. The traffic, follow the traffic. 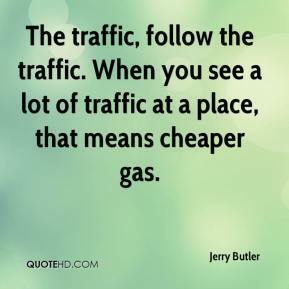 When you see a lot of traffic at a place, that means cheaper gas. Derby came out all fired up. They had a pep band and the place was noisy. They played us close for about four minutes. But we were just quicker and more physical than they were. 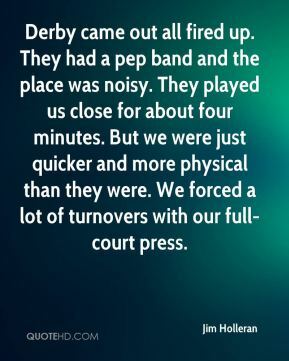 We forced a lot of turnovers with our full-court press. 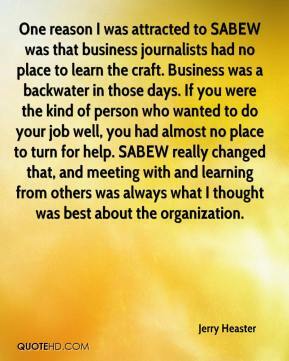 One reason I was attracted to SABEW was that business journalists had no place to learn the craft. Business was a backwater in those days. If you were the kind of person who wanted to do your job well, you had almost no place to turn for help. SABEW really changed that, and meeting with and learning from others was always what I thought was best about the organization. Detroit's the city everybody likes to look at as a place that's dangerous, abandoned and economically no longer viable. 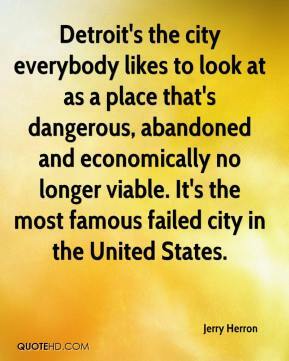 It's the most famous failed city in the United States. This is an interesting place with its own distinctive culture. 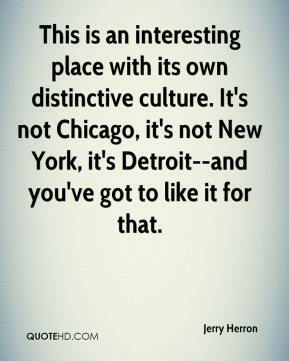 It's not Chicago, it's not New York, it's Detroit--and you've got to like it for that. 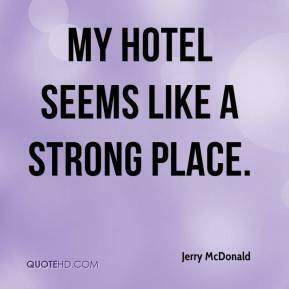 My hotel seems like a strong place. Our goal is to enlighten and to educate them and make this place a better place for everybody. 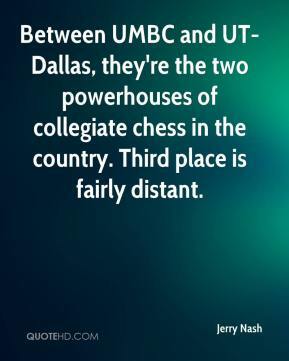 Between UMBC and UT-Dallas, they're the two powerhouses of collegiate chess in the country. Third place is fairly distant. 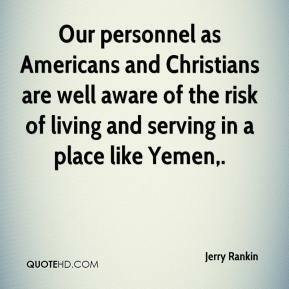 Our personnel as Americans and Christians are well aware of the risk of living and serving in a place like Yemen. 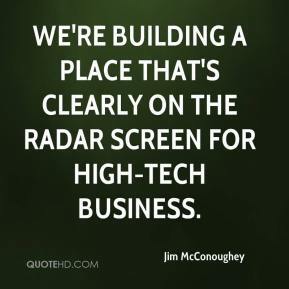 We're building a place that's clearly on the radar screen for high-tech business. 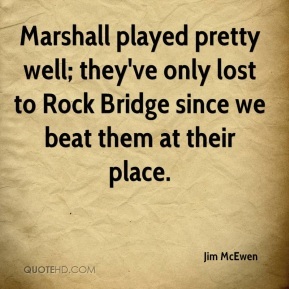 Marshall played pretty well; they've only lost to Rock Bridge since we beat them at their place. I have a fond place in my heart for Arcadia and always will. 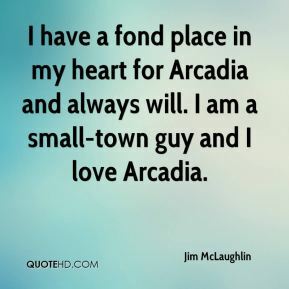 I am a small-town guy and I love Arcadia. The partnership with the Rollins group is an ideal opportunity to place a concerted effort upon expanding the proprietary products of CTT into international markets with a corporation that has worldwide exposure and prestige. 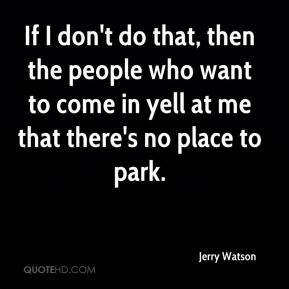 If I don't do that, then the people who want to come in yell at me that there's no place to park. It was a script issue. 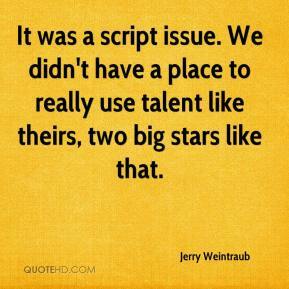 We didn't have a place to really use talent like theirs, two big stars like that. Our defense was great tonight. 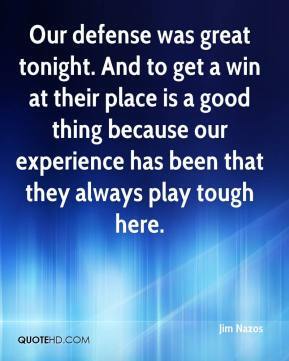 And to get a win at their place is a good thing because our experience has been that they always play tough here. 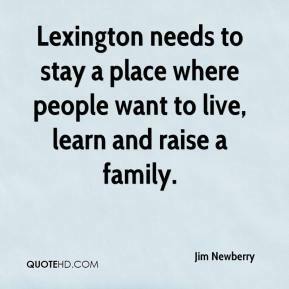 Lexington needs to stay a place where people want to live, learn and raise a family. Last year's team, we were just so stacked all over the place. I had a great senior class. This year's team, we had to work really, really hard. 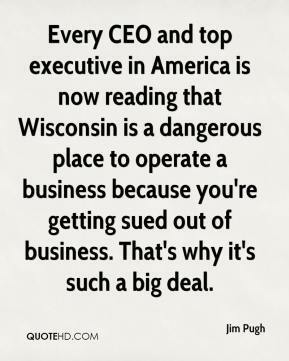 Every CEO and top executive in America is now reading that Wisconsin is a dangerous place to operate a business because you're getting sued out of business. That's why it's such a big deal. Time's cupped hands hold/No place so lenient, so calm as this. The moment after suffering, it is like/A sunlit clearing after densest wood. 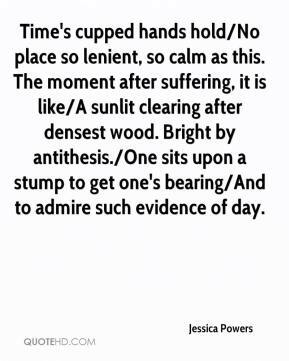 Bright by antithesis./One sits upon a stump to get one's bearing/And to admire such evidence of day. 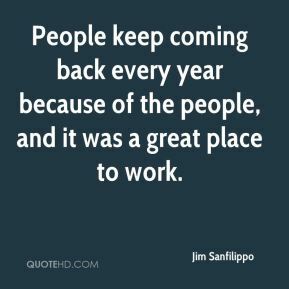 People keep coming back every year because of the people, and it was a great place to work.